Every day, at the UT Health Science Center San Antonio, we make lives better, thanks to generous support from across our community. The Annual Fund for the Future of Health offers the opportunity to make a gift to support our missions of education, clinical care, biomedical research and community service. If you’d like to be part of our lifesaving work, make your gift today through our on-line giving page, or by Direct Debit. Health Science Center employees may give through Payroll Deduction. 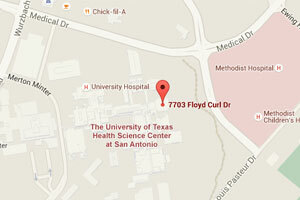 At UT Health Center there are many options to support the areas in which you have the greatest interest. Then click “Add Donation” and continue filling out the brief gift form. If you have more than one interest area you’d like to support, repeat the process for each amount/designation. The form will automatically calculate the total amount of your gifts. Thank you so much for making lives better!